Born at Lossiemouth, Scotland, he became well known as a propagandist of socialist ideas and in 1893, together with Keir Hardie, founded the Independent Labour Party of which he remained a member until 1930. He became an MP in 1906 and leader of the Labour Party in 1911 but resigned in 1914 on account of a short-lived pacifism. In 1922 he became leader of the opposition and in 1924 Prime Minister and Foreign Secretary of the first Labour government which depended upon Liberal support for a working majority. His policy both at home and abroad was one of liberal capitalism, combining re-armament with a rapprochement with the Soviet Union. The election of 1924 put him out of office but he returned to power in 1929. He responded to the capitalist crisis of 1931 by leading a minority on the right-wing into a coalition with the Conservatives on the basis of economic policies which meant the impoverishment of the working class. Prime Minister of this 'National' government until 1935; became Lord President under Baldwin until his death. 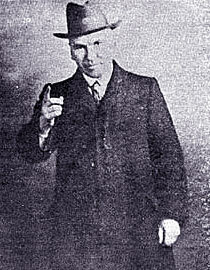 Arthur MacManus was one of the leaders of the Clyde Workers’ Committee during the First World War and was one of those deported to Edinburgh in 1916 following the dispute at Beardmores engineering works. MacManus was originally a member of the Socialist Labour Party and a vociferous anti-conscription and anti-war agitator throughout the 1914-1918 period. He was instrumental in the formation of the CPGB in 1920 and was its first Chairman, as well as being a member of the executive committee of the Third International. On his death from illness, his ashes were interred in the wall of the Kremlin in Moscow in recognition of his role as a pioneer of communism. Further Reading: Arthur MacManus Archive. Austrian physicist and philosopher who established important principles of optics, mechanics, and wave dynamics and who supported the view that all knowledge is a conceptual organisation of the data of sensory experience. Mach is widely regarded as the leader of the extreme subjectivist school of positivism of the late nineteenth century, but even Einstein acknowledged a debt to Mach for his persistent exposure of the unstated assumptions of physical science. In retrospect however, all would agree that Mach’s positivism was naive and overly subjectivist. Mach was the main target of Lenin’s Materialism and Empiriocriticism . Mach was educated at home until the age of 14, and entered the University of Vienna at the age of 17, received his PhD in physics at the age of 22 and was appointed Professor of Mathematics at the University of Graz in 1864. Mach’s interests had already begun to turn to the psychology and physiology of sensation, although he continued to conduct physical research throughout his career. In 1867 he accepted an appointment as Professor of Experimental Physics at the Charles University in Prague, where he remained till 1895, studying how the mind is able to sense movement and acceleration, the measurement of sound waves, wave propagation and supersonics (thus, the “Mach Number”). In Analysis of the Sensations (1886), Mach held that the sole content of knowledge is sensation and material entities can be understood only in terms of the sensations present in their observation. Mach rejected as invalid, on this basis, concepts such as absolute time and space. This led to Mach’s most renowned principle, that inertia is the manifestation of the interaction between a body and all the other bodies in the universe. Mach returned to the University of Vienna as Professor of Inductive Philosophy in 1895, but he suffered a stroke two years later and retired from active research in 1901, when he was appointed to the Austrian parliament. He continued to lecture and write in retirement, publishing Knowledge and Error in 1905 and an autobiography in 1910. Further Reading: Analysis of Sensations. In opposition to Hyndman and the war, he set up the newspaper Vanguard which declared in its first issue that the war 'shows that the day of social pottering or reform is past'. Imprisoned for expressing these views in 1915, 1916 and 1918. A brilliant propagandist, he convinced many workers of the correctness of Marxist principles but was unable to intervene effectively in the enormous class battles on Clydeside during the war or to turn the syndicalist prejudices of the shop stewards in a political direction. His courageous struggle against the war achieved international recognition and in 1918 he was made honorary Soviet consul in Glasgow. However he refused to support the Third (Communist) International or to join the Communist Party but instead turned to Scottish nationalism, establishing in 1922 an abortive Scottish Workers’ Republican Party. 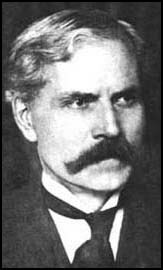 John McTaggart Ellis McTaggart was a British philosopher who was a student of Hegel in his younger days. He taught at Trinity College, Cambridge from 1897 till 1923. He wrote an exposition of Hegel’s Logic, Studies in the Hegelian Dialectic in 1896, Some Dogmas of Religion (1906), A Commentary On Hegel’s Logic (1910), and his opus magnum, The Nature of Existence in 1927. His studies of Hegel’s logic eventually led him to believe that it was too full of contradictions to be sustained, and he abandoned Hegelianism, subsequently concerning himself with the criticism of religious doctrines. Hungarian Communist who participated in the ill-fated Hungarian Soviet of 1919. Following its defeat, he moved to the Soviet Union to work in the Comintern, which eventually sent him to China on an extended mission. In 1934 he was arrested and charged in connection with the assassination of Sergei Kirov, head of the Leningrad party organization. Lajos ultimately died in prison in 1938. Mailly was born in Pittsburgh and moved to Scotland with his parents at age 2. He went to school in Liverpool and worked from a young age as errand boy and clerk. Mailly returned to US in July 1889, working in the Illinois coal mines, brick yards, and railways. In 1890 Mailly moved to Alabama, working as a coal miner and taking part in an 1894 Alabama miners’ strike, eventually being blacklisted for his union sentiments. Mailly was a delegate to the People’s Party state convention in Alabama in 1894. He entered journalism, working as Associate Editor of the Birmingham Labor Advocate, in 1895-96. In 1896 Mailly moved to Nashville, Tennessee and joined the Socialist Labor Party. Mailly left the SLP in July 1897 and helped form a branch of the new Social Democracy of America. He was a delegate to the Chicago convention of the SDA, June 1898. Thereafter he moved to Haverhill, MA. Mailly served there as the head of the Social Democratic Party’s state and municipal campaign committees in 1898. He was also named editor of the Haverhill Social Democrat in 1898. The Jan. 1903 meeting of the Socialist Party’s National Committee elected Mailly Executive Secretary of the SPA; he served in that capacity from Feb. 1, 1903 to Jan. 31, 1905, when he was replaced by J. Mahlon Barnes. After his tenure as Executive Secretary of the Socialist Party, Mailly went to work as Manager of The Socialist (Toledo, Ohio), edited by Hermon Titus, 1905. 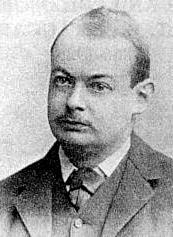 Mailly was also a member of the 7 person NEC of SPA in 1905-06. He later moved to New York, where he worked as Associate Editor of The Worker, 1906-07 and Managing Editor of the New York Evening Call, 1908-09. Mailly died at a young age, not quite 41. 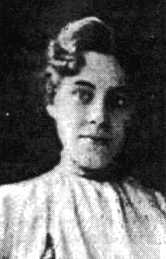 His widow, Bertha H. Mailly, served on the SPA’s NEC for the year 1920-21. Joined the CPGB in 1920 and was a full-time party worker from the early 1920s. First elected to the party’s Executive Committee in 1948, he was also the party’s London District Secretary. The ‘official’ party account of the changes in the CPGB’s leadership in 1929 are covered in Noreen Branson, History of the Communist Party of Great Britain, 1927-1941 , London, 1985. Born in Bapna, Rangpur District of Bengal Province (now Bangladesh), son of a Deputy Magistrate. Participated in Quit India movement as a schoolboy. Educated Presidency College, Calcutta. Joined Calcutta branch of the Bolshevik Leninist Party of India, 1947. Attended BLPI conference, 1948. Entered SP with BLPI, 1948. Split from SP with a group of anti-entry dissidents who organized around the paper, Inquilab [Revolution]. Fused with the Communist League, 1954. Settled in Katwa (Burdwan District, West Bengal) and taught philosophy at Katwa College. General Secretary, West Bengal Teachers Union, 1965-66. Joined Communist Party of India (Marxist) for a short time in mid-‘sixties. Joined Socialist Labour League, the Indian affiliate of the International Committee of the Fourth International (Gerry Healey tendency). Contributed to the party newspapers, Shramiker Path [Workers’ Path] and Anthrajathik Shramik [International Worker]. Author: Manabik Chetanar Sawrup Sandhane [In Search of Human Consciousness] (2003-04) and English-Bengali Dictionary of Abnormal Psychology and Psychopathology . Leader of small groups of peasants who fought Ukranian White armies and German occupation forces during the Russian civil war. He refused to integrate his forces into the Red Army and eventually his forces were broken by the Soviet government. Moscow landowner and leading lawyer. Right Wing Cadet. Member 2nd, 3rd and 4th Dumas. Ambassador of Provisional Government to Paris. Emigre. 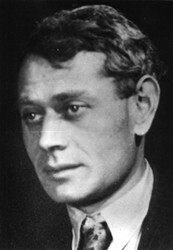 A major figure in the development of Soviet education, Makarenko was especially influential in fighting for integrating democratic principles into education theory and practice. His numerous books, were widely published and translated including his work, The Road to Life (An Epic of Education), the first volume being an absorbing chronicle of his years as director of the Gorky Colony for juvenile delinquents in the Ukraine in the 1920s. Makarenko’s ideas were influenced by the works of the leading Soviet educators of his time such as N.K. Krupskaya, and A.V. Lunacarsky, and by the works of Marx, Engels, Lenin and Gorky, during the period of the first Russian revolution. Makarenko was born in the town of Beloplye, in Kharkov Gubernia, the Ukraine, the son of a painter for the railways. He began his career as a teacher at a school for railway children near where he was raised. In 1914, he qualified as a secondary teacher when he graduated from the Poltava Pedagogical Institute. Three years later, he was the head of a secondary school, which was when he began his study in search of new theories of educational forms and methods. From 1920-27 he directed the Gorky Labour Colony, and then in 1927 was appointed head of Dzerhinsky Labour Commune, an institute for homeless children and teens. At both places he led the staff to use a combination of physical labor and classroom instruction to teach work skills, character-building and aesthetics. As a theoretician, he rejected both anarchistic “free education" and biological determinist theories, instead building a system of “pedagogical logic", rooted in dialectical materialism. Educational goals should change with society, be humanistic, and stress the power and creativity of the collective, according to Makarenko. He also felt strongly about the importance of the home learning environment. Makarenko died suddenly in 1939. With more than 100 books in his body of work, his work is still considered influential in the field of education. Further Reading: Anton Semyonovich Makarenko Archive. 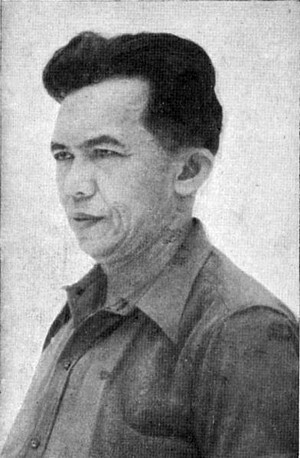 Tan Malaka was one of the most prominent Marxists in Indonesia. Born in West Sumatra, Tan Malaka was acquainted to Marxism while he was studying in Netherlands from 1913-1919, during which time the October Revolution inspired him. Tan Malaka returned to Indonesia in 1919 where he worked with the Indies Social Democratic Association (ISDV) which then later became the Communist Party of Indonesia (CPI). In December 1921, he was elected the chairman of CPI, but had to leave his post as he was arrested by the Dutch colonial government in February 1922 and sent to exile. He was to spend the next 21 years in exile in Netherlands, Berlin, Moscow, China, Philippines, Singapore, etc. In 1923, he was named Comintern member for Southeast Asia. A prolific writer, he wrote more than 20 books and pamphlets, mostly on how to build a revolutionary organization and the communist task in national liberation movement. His masterpiece is “Madilog” (Materialism, Dialectics, Logic), the first work ever by any Indonesian Marxists at that time to develop Marxism. He was executed in 1949, allegedly by the official Indonesian government who grew wary of his influential critics against their policy of collaboration and capitulation to the Dutch. Further Reading: Biography on Wikipedia. Further Reading: Tan Malaka Archive. Born in southern Italy in 1853, into a growing mood of republicanism, Malatesta soon saw the need for a more profound change in society, and in 1871 joined the Italian section of the International, where he linked up with the anarchist faction of the International. Repeatedly forced into exile because of his political opinions he spent long periods in exile in various European countries, in Argentina and in the United States. In all he spent only about half his life in his native country. During the First World War he argued strongly that anarchists should not take sides between the capitalist imperaislist powers. 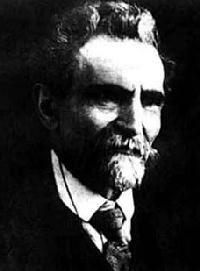 In 1919 he was able to return to Italy where he established the first anarchist daily paper, Umanità Nova. Even after the fascist seizure of power Malatesta continued, with difficulty, to bring out a journal, Pensiero e Volontà , until all independent newspapers and magazines were closed down in 1926. He spent the last 5 years of his life under house arrest. French Socialist, one of the founders and theoreticians of reformism. In 1865 a member of the First International. In 1871 a member of the Commune; after its fall he fled to Switzerland. He combated Marxism and stood for an eclectic theory of “integral socialism." English economist who became famous through his book, Essay on Population. He there developed the idea that population increases faster than the means of sustenence. Engels in a letter to Nikolai Danielson (9 January 1895) remarks that the opposite is the case – the means of sustenence must exist before population can grow. Marx called Malthus’ pamphlet “a libel on the human race.” But in spite of all the facts, the Malthusian law of population, in one form or another, still remains part of the permanent stock of bourgeois economics. Marx noted that Darwin had transposed the Malthusian theory of population from human society to the world of plants and animals. See his letter to Engels of 18th June 1862. In general, Marx always regarded Malthus as a reactionary. See for example his letter of 18th March 1875, but he also gave distinguished between Malthus who had made real discoveries, and his followers who used his ideas solely for reactionary ends. See his letter to Engels of 7th January 1861 in which Engels refers to Marx's note in Chapter XXV of Capital on Malthus in which Marx is very dismissive of Malthus. French Radical Socialist, was minister of the interior from 1914-17, when he was charged with negligence and exiled for five years, to Spain. In 1924 he was reelected to the Chamber of Deputies. Author of eleven novels and spiritual father of the French néo-polar, a school of hard-boiled writing inspired by American writers like Dashiell Hammett and Raymond Chandler. Manchette was a militant in the group “La Voie Communiste” during the war in Algeria, writing for their journal, and later drew close to the Situationists. His experience in both milieus strongly informs his novels. “L’Affaire N’Gustro,” for example, was inspired by the disappearance of the Moroccan leftist Mehdi Ben Barka, “Nada” tells of an anarchist group’s kidnapping of the American ambassador to France, “Le Petit Bleu de la Côte Ouest,” is about a mid-level manager who is pursued by a group of killers and who abandons his middle-class life, and he wrote two novels featuring the investigator Eugene Tarpon, a former gendarme who resigned from the force after killing a demonstrator. His final novel, “Fatale,” about a female hired killer, appeared in 1981, and having stopped writing fiction he wrote scripts for television and film. 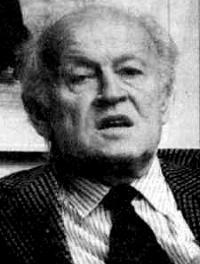 He also regularly wrote criticism of detective fiction, in which he laid out his theory behind the politics of the detective novel, saying that the great period of the American roman noir ‘is located in the final period of triumphant counter-revolution.” He died of cancer in Paris on June 3,1995. Drawn into politics while a high school student during the Quit India movement. Arrested, 1943; released and arrested again, March 1944; jailed 1944-45. Joined Bolshevik Mazdoor Party. Arrested Bombay, 1945. Joined Bolshevik Leninist Party of India, 1946. Strike leader, New Kaiser-i-Hind Mills, Bombay, 1947. Contested 1948 Bombay Municipal Corporation elections as Bolshevik Leninist Party of India candidate (Ghorupdeo Ward). Entered SP with BLPI, 1948. Delegate to SP Convention, 1950. Left SP and joined Revolutionary Communist Party of India in early ‘fifties. Active in Ooni Mazdoor Union (woolen workers), Bombay, in the ‘sixties. Ernest Mandel joined the Belgian affiliate of the Fourth International (FI, founded by Trotsky in 1938) when he was seventeen and has been a member of the Central Committee of this organization since 1941. He was active in the anti-Nazi resistance and was arrested and sent to a German prison camp in 1944. The Second World Congress of the FI, held after the war, elected him to a leadership position, which he has since maintained. During the 1950s and 1960s, when the Trotskyists operated within the Belgian Socialist Party, Mandel worked in the Economic Studies Commission of the Belgian Trade Union Federation, writing a report on economic concentration. He was expelled from the Socialist Party for opposing its coalition with the Christian Socialists and its acceptance of antistrike legislation. Mandel has been barred at various times from entering the United States, France, Switzerland, and Germany, where he nonetheless earned a doctorate in political economy at the Free University of Berlin. In 1978 he delivered the Alfred Marshall Lectures at Cambridge University. In addition to his prolific activity as an editor and writer for the Trotskyist and other leftist press, Mandel has published several volumes of political essays. By and large he has remained faithful to classic Trotskyist politics, calling (in Europe at least) for a united front of the FI with the Socialist and Communist parties in the formation of a “bourgeois workers’ government,” with an eye to its eventual replacement, once the revolutionary insufficiency of the latter parties is seen by the masses, by a government of “transition to socialism” by the FI alone. The socialism to be established is conceived of as a matter of a nationalized economy with workers’ control operating to the “technologically feasible” extent. In this the Bolshevik Revolution in Russia has shown the way, although the Stalinist-bureaucratic distortions of the socialism established by Lenin and Trotsky may require a political revolution to establish a workers’ government answering to the socialist economy already in place. Outside of Trotskyist circles, Mandel’s main impact has been as an economic writer. He is the author of books on the economic competition between Europe and America and on capitalism’s recent difficulties: his little Introduction to Marxist Economics is said to have sold several hundred thousand copies. His main contributions have been the two-volume Marxist Economic Theory (1962) and the massive Late Capitalism (1975). The former aims to show that it is possible, on the basis of the scientific data of contemporary science, to reconstitute the whole economic system of Karl Marx. It thus consists, on the one hand, of the compilation of an enormous mass of data and descriptive material bearing on the nature and history of capitalism and, on the other, of an attempt to integrate parts of bourgeois economics along with elements of the many conflicting Marxist schools into one comprehensive theory. The book includes a consideration of the Soviet economy as exemplifying the “transition to socialism,” marred though it is by Stalinist distortions. Late Capitalism more particularly strives to explain the contemporary history of capitalism by its immanent laws of motion. “Late capitalism” is seen as characterized by the dominance of the multinational firm and by the involvement of the state in the national and international economy. Despite these modifications, however, capitalism remains under the sway of the crisis tendency diagnosed by Marx. As in the earlier book, Mandel’s explanation of this tendency involves the combination of a number of seemingly incompatible theories in a “multifaceted” approach, although at base Mandel follows Roman Rosdolsky in holding to a form of underconsumption theory. A novelty is Mandel’s attempt to integrate his eclectic conception into a version of the Kondratiev ‘long wave’ theory of fifty-year cycles of upturns and downturns: this is used, finally, to explain both the long period of prosperity capitalism enjoyed after the last world was and its recent economic misfortunes. From: Biographical Dictionary of the American Left. A character in Gogol’s Dead Souls, who had a very fertile imagination and loved to talk; a prattling self-complacent dreamer. Secretary of the British ILP, and leader of the famous ‘dockers tanner’ strike in Britain, which ended in victory after receiving a huge donation from Australian unionists. Mann came to Melbourne in 1903, and conducted a series of lectures on ‘social problems’. He acted as a stimulus for the formation of the Victorian Socialist Party. Under his mentorship, the VSP grew to 2,000 members by 1907 when it initiated the OBU project. While advocating revolutionary socialism, it still remained inside the ALP. Mann was invited to Broken Hill, and won the craft unionists to the policy of industrial unionism. Mann later became disillusioned with the policy of ‘pushing labor to the left’. On his return to Britain, took a pacifist position on the war; became a founding member of the British Communist Party in 1920. Leader of Red International of Labour Unions. French Resistance leader. Born in 1906 to Armenian parents in Turkey, he left there as a youth after his father was killed in a massacre and his mother died through disease. In France he quickly became involved in Armenian literary circles, editing two literary magazines. He joined the French Communist Party (PCF) in 1934, and was also a member of the Armenian branch of its immigrant section, the Main d'oeuvre immigrée. Upon France’s defeat in World War II, he remained in the MOI, where he was in charge of the Armenians’ clandestine and resistance activities. In 1943 he was transferred to the multi-national umbrella organization of foreign resistance fighters, the FTP-MOI, and was put in charge of the Parisian section. After carrying out numerous actions, Manouchian and the bulk of his comrades were captured in November 1943 and executed on February 21, 1944. Twenty-three who cried out “France!” as they fell. See: Melinée Manouchian — Manouchian and Philippe Ganier Raymond — L'Affiche Rouge. 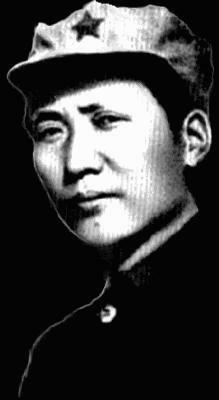 The son of a peasant farmer, Mao Tse-tung was born in the village of Shao Shan, Hunan province in China. At age 27, Mao attended the First Congress of the Chinese Communist Party in Shanghai, in July 1921. Two years later he was elected to the Central Committee of the party at the Third Congress. From 1931 to 1934, Mao helped established the Chinese Soviet Republic in SE China, and was elected as the chairman. Starting in October 1934, "The Long March" began – a retreat from the SE to NW China. In 1937, Japan opened a full war of aggression against China, which gave the Chinese Communist Party cause to unite with the nationalist forces of the Kuomintang. After defeating the Japanese, in an ensuing civil war the Communists defeated the Kuomintang, and established the People’s Republic of China, in October 1949. Mao served as Chairman of the Chinese People’s Republic until after the failure of the Great Leap Forward, in 1959. Still chariman of the Communist Party, in May 1966 Mao initiated the Cultural Revolution with a directive denouncing "people like Khrushchev nestling beside us." In August 1966, Mao wrote a big poster entitled "Bombard the Headquarters." Served as Party chairman until his death in 1976. Born in Switzerland, he studied medicine in England, and wrote scientific and medical works in French and English, but failed to gain official recognition for his work. His Philosophical Essay on Man (1773) was attacked by Voltaire for its materialism. When the Revolution began (1789), he launched the radical journal L’Ami du peuple. 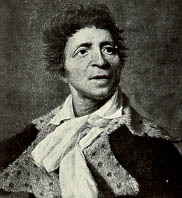 Outlawed for his views, he twice fled to England (in 1790 and the summer of 1791), but continued to publish L’Ami du peuple in secret. Marat’s inflammatory journalism helped inspire the August 10, 1792, uprising and the September massacres of political prisoners. In August 1792, he was elected to the Convention, where he led the attack against the Girondists. On July 13 1793, he was stabbed to death in his bath by Charlotte Corday, a royalist sympathiser. Marat, though not a Socialist, was a precursor of Socialism. The ideals of Marat’s life, Justice and Social Equality, clothed as they were by him in eighteenth-century Rousseauite garb, have not perished because that garb is outworn, but, will assuredly realise themselves sooner or later under the forms of that true economic freedom through collective ownership in the material bases of social life which is the primary aim of the international Socialist party of modern times. See the Jean-Paul Marat Archive. German-born U.S. political philosopher whose combination of Marxism and Freudian psychology was popular for a time among student radicals in the late 1960s. Having become a member of the Social Democratic Party while a student at the University of Freiburg, Marcuse joined the Frankfurt Institute for Social Research in 1932 and became its most widely read spokesperson. He fled to Geneva in 1933 when Hitler came to power, then went to the United States in 1934, where he taught at Columbia University and became a US citizen in 1940. His Reason & Revolution, written in 1941, made an important contribution to the understanding of Hegel and his influence on Marx. An intelligence analyst for the U.S. Army during World War II, he headed the Central European Section of the Office of Intelligence Research after the war. He returned to teaching in 1951 at Columbia and Harvard, Brandeis University (1954-65), and the University of California at San Diego (1965-76), where after retirement he was honorary emeritus professor of philosophy until his death. Among his major writings are Reason and Revolution (1941), Eros and Civilisation (1955), One-Dimensional Man (1964) and Studies in Critical Philosophy (1972). The United States Socialist Party platform of 1916 called for the tactics of mass action and general strike as a means to prevent the impending war. A strong advocate of this approach, Mary Marcy, then a member of the SP's left-wing and editor of the International Socialist Review, authored of a series of articles in that journal explaining how if workers united and shut down the mines, factories, and transportation, it would be workers, not the ruling class, that would have control of the military and of economic power. This is a position Marcy and the ISR would fearlessly maintain throughout the war years. Marcy also stressed that it is relatively easy for the ruling class to suppress such a revolt by getting rid of the leaders. But when mass action is independent of leaders? It is nearly impossible to stop a rank-and-file revolutionary movement. In her preface to The Life of Eugene Debs, she wrote, "Men do not wage the great class struggle in the study, nor in the editorial rooms....The workers are the fighters and the thinkers of the revolutionary movements." 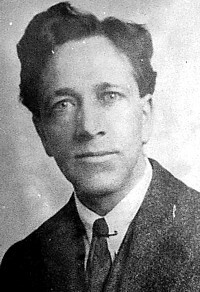 Marcy and others in the left wing of the SP supported reforms such as shorter hours and higher wages, but only in order to educate workers in the class struggle. It is not hard to understand how Mary Marcy came to be an outspoken, influential and respected revolutionary writer. Born in 1877 in Belleville, Illinois, Mary Tobias was orphaned as a child. She went to work as a teenager and a few years later taught herself stenography skills while raising her two younger siblings. She learned the consequences of being a political radical early when she was fired for wearing a William Jennings Bryan button to work in 1896--something forbidden by her employer, a maker of American flags. An impressed Clarence Darrow, learning of her dismissal, secured her a job at the University of Chicago where she got the perk of taking tuition-free classes. She studied there, among other things, psychology under John Dewey. In 1901 soon after she married Leslie Marcy, they moved to Kansas City where she took work in a packing firm. Two years later, they joined the SP. Apparently never holding a party office, her role was to educate and motivate workers as well as criticize the SP’s reformist right wing through her writings. In 1904, Mary Marcy’s first series of essays were run in the International Socialist Review. The ISR was published by the Marcy’s good friend, Charles Kerr, from 1900 to 1918, when government repression caused it to fold. It was the only socialist paper to support the left wing of the SP as well as the IWW, a position reflected in Marcy's work. One of the early pieces published was Marcy’s was the serialized Marcy classic proletarian fictional work, Out of the Dump. This was a strong attack on the "scientific" charity movement, again drawn on Marcy’s own work experience with Associated Charities. Marcy dedicated herself to writing for workers in everyday language. She broke down economics into understandable parts with a series on Marxist economics in the ISR which later became the booklet Shop Talks On Economics, which was translated into many languages. She wrote stories for children in order to introduce them to historical materialism. She also reported on the major strikes of the day, technology in industry, farm and agricultural issues, elections, international policy, verse for a deck of Socialist playing cards, poetry, and a satirical play on free love. Marcy’s focus in the last few years at the ISR was primarily analysis on the crisis surrounding the war. Marcy's writings on the women’s question are controversial. Clearly she put class struggle as primary, but neither did she think women were in any way intellectually inferior to men; encouraging them to join unions and the Socialist Party. Unfortunately a fuller explanation of Marcy’s thoughts and writings may never be known since she left no personal papers and much of what she had in personal records was taken during a Department of Justice raid on her home in 1919. By this time the ISR had ceased publication and she had left the SP to join the IWW. Marcy continued writing articles and letters to her correspondents around the world and worked in support of her comrades that were in prison or enduring government harassment. When "Big Bill" Haywood jumped bail and left for Russia in 1921, the Marcy’s lost their home which was put up for collateral. Worn down, disillusioned, and her health in decline, she committed suicide in 1922. After studying law Sylvain Maréchal very early turned to literature. Heavily influenced by Rousseau and the atheist priest Jean Meslier, his ideology was a mix of utopian (mainly agrarian) socialism and materialism. Important figure in the Irish trade union movement, who identified with the politics of James Connolly. She was raised in a conservative environment in Ireland, moved to Paris as a young adult and there married Count Markievicz. 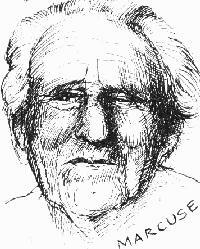 She studied painting and acting and in 1808 became involved in the Irish freedom struggle including campaigning for workers in Dublin during the 1913 strike. Though she was involved in emancipatory projects for women, she did not consistently support feminist positions. Markievicz was sentenced to death for her role in the 1916 Easter Revolt, but received amnesty and later ran and won a seat in the House of Commons as a Sinn Fein candidate--and first woman ever elected--in 1918. After the murder of James Connolly, Markievicz gradually moved toward the right as the Minister of Labour, harshly criticizing Bolshevism. Serbian Marxist philosopher. He has participated in the war of liberation, 1941-1945, before starting his studies at the University of Belgrade. He took his PhD in philosophy first at the University of Belgrade and then in London at University College, where he studied under A.J. Ayer and wrote his thesis on The Concept of Logic. 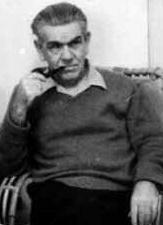 Marković was one of the first and fiercest critics of the Stalinist philosophical theses in Yugoslavia. His Revision of the Philosophical Bases of Marxism in the USSR, published in 1952, was the first major attack on the Stalinist philosophy in Yugoslavia. In the 1960-ties Markovi? became a prominent member of the Praxis group. Due to his critical observations, together with seven other professors from the Faculty of Philosophy in Belgrade, Marković was suspended in 1975, and finally lost his job in 1981. 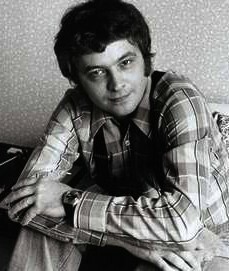 In 1986 Marković was co-author of the notorious Memorandum of the Serbian Academy of Sciences and Arts, a document that has formulated the central tenets of Serbian nationalism. From this year Markovi? was increasingly abandoning Marxism for nationalism. Among his books are: Revision of the Philosophical Bases of Marxism in the USSR (1952), Formalism in Contemporary Logic (1957), The Dialectical Theory of Meaning (1961), Humanism and Dialectics (1967) and From Affluence to Praxis (1974). See Mihailo Marković Archive and the Praxis Group Archive. One of the chief founders of the school of English neoclassical economists and first principal of University College, Bristol (1877-81). Educated at Merchant Taylors’ School and at St. John’s College, Cambridge, Marshall was a fellow and lecturer in political economy at Balliol College, Oxford, from 1883 to 1885 and professor of political economy at the University of Cambridge from 1885 to 1908. He thereafter devoted himself to his writings. From 1891 to 1894 he was a member of the Royal Commission on Labour. Marshall’s magnum opus, Principles of Economics (1890), was his most important contribution to economic literature. It was distinguished by the introduction of a number of new concepts, such as elasticity of demand, consumer’s surplus, quasi-rent, and the representative firm, all of which played a major role in the subsequent development of economics. His Industry and Trade (1919) was a study of industrial organisation; Money, Credit and Commerce was published in 1923. Writing at a time when the economic world was deeply divided on the theory of value, Marshall succeeded, largely by introducing the element of time as a factor in analysis, in reconciling the classical cost-of-production principle with the marginal-utility principle formulated by William Jevons and the Austrian school. Marshall is often considered to have been in the line of descent of the great English economists – Adam Smith, David Ricardo, and J.S. Mill. Right-wing Menshevik before 1917 and for a few years after the revolution an opponent of the Soviet government. Strong advocate of the two stage theory: that fully capitalistic government needed to run its course in Russia before Socialism was possible. He joined the Communist Party in 1923, and became an opponent of the Left Opposition. He was a chief architect of the Stalinist theories used to justify subordinating the workers to the "progressive" bourgeoisie, including the concept of the "bloc of four classes." The ideological leader of Menshevism, he began his political career in 1895 working with Lenin in the St. Petersburg 'League of Struggle for the Emancipation of the Working Class'. Collaborated in founding Iskra but broke with Lenin in 1903 on the question of Russian Socialist Democractic Labour Party rules. A Centrist during WWI. At the time of the October Revolution he held a left position in the Menshevik ranks, remaining in the Second Congress of the Soviets after the Right SRs and Mensheviks had departed. He was nonetheless an irreconcilable opponent of the Soviet government. He choose to emigrate to Berlin and founded Sotsialistichesky Vestnik, the central publication of the Mensheviks in emigration. Marx, Caroline (1824-1847): Karl Marx’s sister. Marx, Edgar (Musch) (1847-1855): Karl and Jenny Marx’s son who died of tuberculosis. Marx, Eduard (1824-1837): Karl Marx’s brother. Marx, Eleanor (Tussy) (1855-1898):Karl Marx’s youngest daughter. Tussy was a precocious youngster who showed an early interest in politics including writing to major political figures around the world as a child. Eleanor and her two sisters grew up with their father’s story-telling and immersed in literature. Tussy began a life-long love of books and theater. She would later translate several works of literature as well as become a stage actress. Once engaged to Prosper Lissagary, she met Edward Aveling in 1883 and they would live together in common law for the reminder of her life. 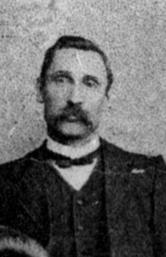 They became members of the Democratic Federation led by Henry Hyndman in the early 1880s. Tussy wrote in the draft of the program that the needed change in society will be a revolution. "The two classes at present existing will be replaced by a single class consisting of the whole of the healthy and sane members of the community, possessing all the means of production and distribution in common...". The Democratic Federation, later renamed the Social Democratic Federation broke up in 1884 over personality problems and the issue of internationalism. The Avelings and William Morris formed the Socialist League which published a monthly paper called Commonweal. In this vehicle Tussy wrote several articles and reviews on women’s and other issues as well as a pamphlet entitled The Woman Question. In 1886 Tussy toured in the U.S. along with Wilhelm Liebknecht fundraising for the German Social Democratic Party and in support of the Haymarket affair. Along with continuing work translating literature and acting, she became very involved in organizing, writing, record-keeping and speaking for militant trade union such as the Gasworkers, and the Dockers Union and their struggles. In 1889 she was a delegate in Paris for the founding of the Second International. Marx, Franziska (1851-1852):Karl and Jenny Marx’s daughter, died in infancy. Marx, Heinrich (1777-1838):Lawyer in Trier, Karl Marx’s father. Marx, Heinrich Guido (Foxchen) (1849-1850):Karl and Jenny Marx’s son, died in infancy. Marx, Henriette (1787-1863):Karl Marx’s mother. Marx, Henriette (1820-1856): Karl Marx’s sister. Marx, Hermann (1819-1842):Karl Marx’s brother. Marx, Laura (1845-l9ll):(see also Lafargue, Laura) Karl and Jenny Marx’s daughter who married Paul Lafargue. Marx, Louise (1821-1893):Karl Marx’s sister, wife of Johann Carel Juta. Marx, Sophie (181-1883): Karl Marx’s sister, wife of Wilhelm Robert Schmalhausen. Karl Marx’s wife. See also the letters of Jenny von Westphalen. Karl and Jenny Marx’s eldest daughter, married to Charles Longuet. In 1870 she took action in the Irish struggles by publishing in a French paper revelations of the treatment of the Irish political prisoners by the English bourgeoisie; by this means she forced the Gladstone government to conduct an investigation into the question. She wrote under the name of ".J. Williams." See also the Jenny Longuet section in the Women and Marxism page. (2) that the class struggle necessarily leads to the dictatorship of the proletariat. (3) that this dictatorship itself only constitutes the transition to the abolition of all classes and to a classless society. Karl Marx was born on May 5, 1818 , in the city of Trier in Rheinish Prussia. His family was Jewish, but converted to Protestanism in 1824. The family was petty-bourgeois; his father was a lawyer. After graduating from a Gymnasium (High School) in Trier, Marx entered the university, first at Bonn and later in Berlin, where he read law, majoring in history and philosophy. He concluded his university course in 1841, submitting a doctoral thesis on the philosophy of Epicurus. At the time Marx was a Hegelian idealist in his views. In Berlin, he belonged to the circle of "Left Hegelians" (with Bruno Bauer and others) who sought to draw atheistic and revolutionary conclusions from Hegel’s philosophy. Ludwig Feuerbach began to criticize theology, particularly after 1836, and he began his turn to materialism, which in 1841 gained ascendancy in his philosophy (The Essence of Christianity). After graduating from university, Marx moved to Bonn, hoping to become a professor. However, the reactionary policy of the government made Marx abandon the idea of an academic career, after Ludwig Feuerbach had been deprived of his chair in 1832 (and who was not allowed to return to the university in 1836); and in 1841 the government had forbade the young Professor Bruno Bauer to lecture at Bonn. At the begining on 1842, some radical bourgeois in the Rhineland (Cologne), who were in touch with the Left Hegelians, founded a paper in opposition to the Prussian government, called the Rheinische Zeitung. Marx and Bruno Bauer were invited to be the chief contributors, and in October 1842 Marx became editor-in-chief and moved from Bonn to Cologne. In 1843, Marx married, at Kreuznach, a childhood friend he had become engaged to while still a student. His wife came from a bourgeois family of the Prussian nobility, her elder brother being Prussia’s Minister of the Interior during an extremely reactionary period – 1850-58. In the autumn of 1843, Marx went to Paris in order to publish a radical journal abroad, together with Arnold Ruge (1802-1880). Only one issue of this journal, Deutsch-Französische Jahrbücher, appeared. Publication was discontinued owing to the difficulty of secretly distributing it in Germany, and to disagreement with Ruge. Marx’s articles in this journal showed that he was already a revolutionary who advocated "merciless criticism of everything existing", and in particular the "criticism by weapon", and appealed to the masses and to the proletariat. Also in 1843, Feuerbach wrote his famous Principles of the Philosophy of the Future. "One must have experienced for oneself the liberating effect" of these books, Engels subsequently wrote. "We [i.e., the Left Hegelians] all became at once Feuerbachians." In September 1844, Frederick Engels came to Paris for a few days, and from that time on became Marx’s closest friend. Shortly after meeting, Marx and Engels worked together to produce the first mature work of Marxism – The German Ideology. In this work, largely produced in response to Feuerbach’s materialism, Marx and Engels set down the foundations of Marxism with the materialistic conception of history, and broke from Left Hegelian idealism with a critique against Bruno Bauer and Max Stirner. "The philosophers have only interpreted the world in various ways;" Marx wrote in an outline for the begining of the book, " the point is to change it." In the mid to late-1840s both Marx and Engels took a most active part in the then seething life of the revolutionary groups in Paris (of particular importance at the time was Proudhon's doctrine), which Marx broke into pieces in his Poverty of Philosophy, (1847). At the insistent request of the Prussian government, Marx was banished from Paris in 1845, considered by both governments a dangerous revolutionary. Marx then moved to Brussels. In the spring of 1847 Marx and Engels joined a secret propaganda society called the Communist League. Marx and Engels took a prominent part in the League’s Second Congress (London, November 1847), at whose request they drew up the Communist Manifesto, which appeared in February 1848. With outstanding clarity, this work outlines a new world-conception based on materialism. This document analysises the realm of social life; the theory of the class struggle; the tasks of the Communists; and the revolutionary role of the proletariat – the creators of a new, communist society. On the outbreak of the Revolution of February 1848, Marx was banished from Belgium. He returned to Paris, whence, after the March Revolution, he went to Cologne, Germany, where Neue Rheinische Zeitung was published from June 1 1848 to May 19 1849, with Marx as editor-in-chief. The victorious counter-revolution first instigated court proceedings against Marx (he was acquitted on February 9, 1849), and then banished him from Germany (May 16, 1849). First Marx went to Paris, where he was again banished after the demonstration of June 13, 1849, and then went to London, where he lived until his death. Marx’s life as a political exile was an extremely difficult one, as the correspondence between Marx and Engels clearly reveals. Poverty weighed heavily on Marx and his family; had it not been for Engels’ constant and selfless financial aid, Marx would not only have been unable to complete Capital but would have inevitably have been crushed by hunger and malnutrition. Following the downfall of the Paris Commune (1871) – of which Marx gave a clear-cut materialistic analysis of these events in The Civil War In France, 1871 – and the Bakunin cleavage in the International (See: Marx’s conflict with Bakunin), the organization could no longer exist in Europe. After the Hague Congress of the International (1872), the General Council of the International had played its historical part, and now made way for a period of a far greater development of the labor movement in all countries in the world, a period in which the movement grew in scope, and mass socialist working-class parties in individual national states were formed. Marx’s health became undermined by his strenuous work in the International and his still more strenuous writings and organising. He continued work on the refashioning of political economy and on the completion of Capital, for which he collected a mass of new material and studied a number of languages (Russian, for instance; Marx was fully fluent in German, French, and English). However, ill-health prevented him from completing the last two volumes of Capital (which Engels subsequently put together from Marx’s notes). Marx’s wife died on December 2, 1881, and on March 14, 1883, Marx passed away peacefully in his armchair. He lies buried next to his wife at Highgate Cemetery in London. See Also: The Marx/Engels Biographical Archive. Jan Masaryk was the son of Tomas Masaryk and Foreign Minister of the Czech government-in-exile in London 1941-45, and continued on after returning to Prague in 1945, as a symbol of the continuity of Czech government. Masaryk supposedly “leapt” to his death from a window of the Foreign Ministry in 1948, a few days after the success of the Communist Party in the February 1948 elections. Menshevik. Wrote a number of works on the agrarian question. During the first world war took a social-chauvinst stand. Following the October revolution, Pyotr reisgned from politics and took up teaching and scientific work. Top German CP leader expelled in 1927 because of his support of the Russian Left Opposition. He helped found the oppositional periodical Volkswille [People’s Will] and the Leninbund, which for a short time was associated with the Left Opposition. He withdrew from the Leninbund leadership before it broke with the Left Opposition, and for a short time sympathized with the movement for the Fourth International in the mid-thirties. Historian of the French Revolution, founder of the Society for Robespierrist Studies and the review “Annales de la Révolution Française,” an ardent admirer of the Incorruptible, and editor of Jaurès’s eight volume “Socialist History of the French Revolution.” A member of the Socialist Party, he joined the Communist Party upon its founding after the Congress of Tours. Mathiez left the PCF in 1922, denouncing “the abusive intrusion of the International in the internal administration of our French party.” Professor at the Sorbonne, he died there in the Michelet Amphitheater on February 25, 1932 while delivering a lecture. Born in Pomerania in 1904 and raised in Berlin by class-conscious parents, Mattick was already at the age of 14 a member of the Spartacists’ Freie Sozialistiche Jugend. In 1918, he started to learn as a toolmaker at Siemens, where he was also elected as the apprentices’ delegate on the workers’ council of the company during the German revolution. In 1921 – at the age of 17 – Mattick moved to Cologne to find work with Klockner for a while, until strikes, insurrections and a new arrest destroyed every prospect of employment. He was active as an organizer and agitator in the KAPD and the AAU in the Cologne region, where he got to know Jan Appel among others. Contacts were also established with intellectuals, writers and artists working in the AAUE founded by Otto Ruhle. In the USA, Mattick carried through a more systematic theoretical study, above all of Karl Marx. In addition, the publication of Henryk Grossmann’s principal work, Das Akkumulations – and Zusammenbruchsgesetz des Kapitalistischen Systems (1929), played a fundamental role for Mattick, as Grossmann brought Marx’s theory of accumulation, which had been completely forgotten, back to the centre of debate in the workers’ movement. To Mattick Marx’s ‘critique of political economy’ became not a purely theoretical matter but rather directly connected to his own revolutionary practice. From this time Mattick focused on Marx’s theory of capitalist development and its inner logic of contradictions inevitably growing to crisis as the foundation of all political thoughts with the workers’ movement. Towards the end of the 20’s Mattick had moved to Chicago, where he first tried to unite the different German workers’ orgainizations. In 1931, he tried to revive the Chicagoer Arbeiterzeitung, a newspaper steeped in tradition and at one time edited by August Spies and Joseph Dietzgen, but without success. For a period he joined the Industrial Workers of the World, who were the only revolutionary union organization existing in America which, in spite of national or sectoral differences, assembled all workers in One Big Union, so as to prepare the general strike to bring down capitalism. However, the golden age of the Wobblies’ militant strikes had already passed by the beginning of the ’thirties, and only the emerging unemployed movement again gave the IWW a brief regional development. In 1933 Paul Mattick drafted a programe for the IWW trying to give the Wooblies a more solid ‘Marxist’ foundation based on Grossman’s theory, although it did not improve the organization’s condition. After some unsuccessful attempts to exercise an influence from the outside on the leninist United Workers Party, Mattick finally founded a council communist group in 1934 with some friends who were originally from the IWW as well as with some expelled members of the UWP. The group kept close contacts with the remaining small groups of the German/Dutch left communism in Europe and published the journal International Council Correspondence, which up though the 30’s became a Anglo-American parallel to the Rätekorrespondenz from the Dutch GIC(H). Articles and debates from Europe were translated along with economic analysis and critical political comments of current issues in the US and elsewhere in the world. As the European ‘council communism’ went underground and formally ‘disappeared’ in the second half of the 30’s Mattick let ‘Correspondence’ change its name – from 1938 to Living Marxism, and from 1942 to New Essays. Through Karl Korsch and Henryk Grossman, Mattick also had some contact to Horkheimer’s Institut fur Sozialforschung (the later ‘Frankfurter School’). In 1936 he wrote a major sociological study on the American unemployed movement for the Institue, althought it remained in the Institute’s files, to be published only in 1969 by the SDS publishing house Neue Kritik. After the United States’ entry into the Second World War and the consequent persecution campaign directed against the entire critical intelligentsia, the left in America was liquidated by Macarthyism. Mattick retired, at the beginning of the 50’s, to the countryside, where he managed to survive through occasional jobs and his activity as a writer. In the postwar development Mattick – like others – made only small and occassional political activities, writing small articles for various periodicals from time to time. With the general changes of political scene and the re-emergence of more radical thought in the 60’s Mattick made some more extensive and important contributions. One main work was ‘Marx and Keynes. The Limits of Mixed Economy’ from 1969, which was translated into several languages and had quite an influence in the post-68 student movement. Another important work was ‘Critique of Herbert Marcuse – The one-dimensional man in class society’, in which Mattick forcefully rejected the thesis according to which the “proletariat”, as Marx understood it had become a “mythological concept” in advanced capitalist society. Although he agreed with Marcuse’s critical analysis of the ruling ideology, Mattick demonstrated that the theory of one dimensionality itself existed only as ideology. Marcuse subsequentially affirmed that Mattick’s critique was the only serious one to which his book was subjected. Up through the 70’s a lot of old and new articles were published in different languages for various publications. In the academic year 1974-75 Mattick was engaged as ‘visiting professor’ at the ‘red’ University-Center of Roskilde in Denmark. Here he held lectures on Marx’ critique of political economy, on the history of the workers movement and served as critical co-referent at seminars with other guests such as Maximilian Rubel, Ernest Mandel, Joan Robinson and others. In 1977, he completed his last important lecture tour of the University of Mexico City. He spoke in West Germany only twice: in 1971 at Berlin and in 1975 at Hanover. From Kurasje-Archive, which also has a number of Mattick's works. German jurist and historian. Distinguished for his investigations into the history of the development of common property in land, the formation of towns in the Middle Ages and relations. Leading member of the Independent Labour Party, and was the MP for Glasgow Bridgeton from 1922 until his death. In 1928, Maxton and Cook issued a militant manifesto aimed at rejuvenating the labour movement after the defeat of the General Strike. 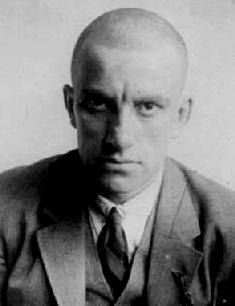 Born in 1893 in the Georgian village of Bagdadi (which was renamed Mayakovsky after his death), Vladimir Mayakovsky was the son of a forestry officer. By the time of the 1905 revolution Mayakovsky was already working with the local Social Democrats, and when his family moved to Moscow a couple of years later he joined the Bolsheviks. He did propaganda work for the party until his arrest in 1908, which resulted in an imprisonment of eleven months. From this time until the revolutions of 1917 Mayakovsky was one of the most visible members of the Russian artistic scene. He wrote rough, declamatory poetry and cultivated the image of a hooligan, and poems he wrote during this period, like “ The Cloud in Trousers” and “I,” were among the most important of the time. But he refused to see Soviet reality in strictly rosy colors, at one point even going so far as planning to write a poem entitled “Bad,” and in 1928 he wrote “The Bedbug,” a play that criticized the NEPmen of the previous years, while holding out the hope of a beautiful communist future. A critical failure, he followed it two years later with a more openly critical play about Soviet reality, “The Bathhouse,” which, after being turned down by Soviet censors, was reworked, mounted, and critically savaged, a writer for Pravda going so far as to say he was playing the Trotskyist’s game. Italian politician who played a leading part in the bourgeoisie revolutionary movement (especially among the town intelligentsia and liberal aristocracy). He lived abroad as a refugee. In 1831-32 he founded “Young Italy,” a revolutionary organisation aiming at the unification of Italy, which was at that time still split up into many different states. He took part in the revolutionary struggles of the year 1848 in Italy. After this he was again an emigre abroad (London), and there founded the European Democratic Committee, which was intended to unite the revolutionary movements in the different countries. His republican programme demanded the independence and unity of Italy and a democratic republic; his slogan was “Dio i Popolo” (God and the People). Marx criticised the inconsistent and anti-proletarian character of Mazzini’s programme and carried on an energetic struggle against him and his Committee. First General Secretary and Co-Founder of Communist Party of India (Marxist-Leninist) (CPI-ML). Joined Tebhaga Movement in 1946 and organized the leftist faction of the Communist Party of India (Marxist) in the 1960s. Mazumdar was instrumental in the Naxalbari peasant uprising of 1967 and soon thereafter, Mazumdar and Kanu Sanyal formed the All India Coordination Committee of Communist Revolutionaries (AICCCR) and later founded the CPI-ML. 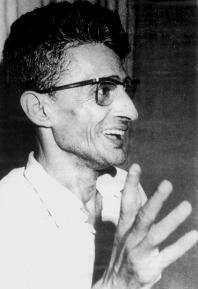 Mazumdar was arrested in July 1972 and died in custody, reportedly following torture at the hands of the police.